Arsenal chairman Peter Hill-Wood has admitted he’d love to extend Manager, Arsene Wenger's contract, which is due to run out in June 2014. 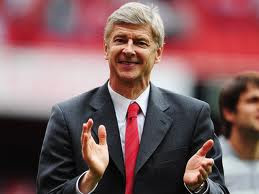 The Gunners boss, who was being touted for the sack only a few short months ago, has quickly regained popularity with supporters after a recent run of impressive results, including last week's a 1-0 home victory over Manchester City. Hill-Wood has echoed fans faith in the Frenchman by expressing his interest in keeping him at the Emirates for the forseeable future. He has a young squad, with some excellent young players," Hill-Wood said. "He is building a young team with a great future and I am sure he would love to see them develop. "I would want him to stay as long as he is happy here. He has been with us 14 years and has done a ­magnificent job. "I want him to stay for the long-term and I see no ­reason at all why he should want to go."